The warehouse is at the center of your business. 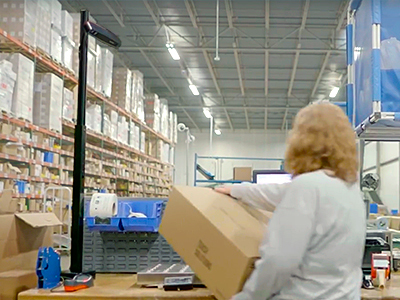 And in today’s highly competitive markets, there’s something even more dependent on efficient warehouse operations – customer satisfaction. And what do customers want from your DC operations? Accurate, on-time, and flawless fulfillment. Every time. What are we doing to address these enterprise needs? We've been hard at work developing a wearable solution that can dramatically streamline scan-intensive tasks, while reducing capital and operational expenses. 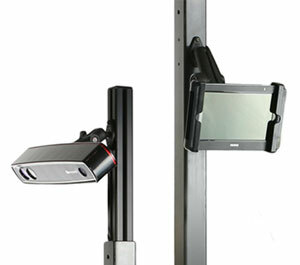 The 8680i Wearable Mini Mobile Computer replaces a separate scanner and handheld computer with a solution that can help you tackle rapidly rising volumes – without adding staff and complexity. 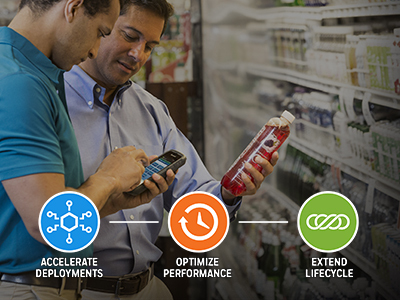 Is your DC challenged to deliver accurate, on-time, and flawless fulfillment? We can help. Fill out the form for a no-cost session with Honeywell. Accelerate the provisioning, certification, and deployment of mobile solutions across your enterprise with this new unified, dynamic hardware and software platform from Honeywell.